M usually fits but for some reason this M feels like an s? I’ve brought several of these tops now. They look great and fit well. The dry tech is very good for keeping you cool. They wash well. It is very lightweight and genuinely sweat-wicking top. I found it really comfortable while doing heavy workouts with weights in the gym. Gives full flexibility while stretching during any exercise. Price reasonably cheap. Definitely recommend it. Perfect fitting, cheap price, good quality, can't ask any more, will be ordering again shortly. Perfect fit, cheap price, good quality, can't ask for any more. Got this top in grey at an awesome discount and was not disappointed. 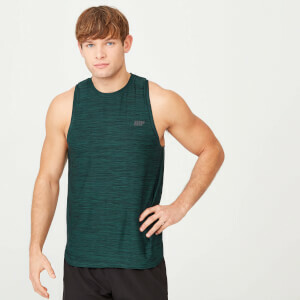 Doesn't cling too much like I find a lot of other sportswear does and is a nice shape - as someone who isn't really in to extreme stringers with super skinny straps and low necklines, this tank ticked all my boxes. I personally have never thought I look good in a vest as the fit or length is always wrong for me, being very small height (158cm). BUT....this vest I ordered along with other things came very quick and as soon as I tried it on it was perfect, a nice fit on the chest and upper body but not tight on the stomach at all! The dry tech material is stretchy but not tight and not heavy or hot all round great item. I am 158cm in height and 78 kg in weight and I wear a small and it is a perfect fit. Highly recommend!! 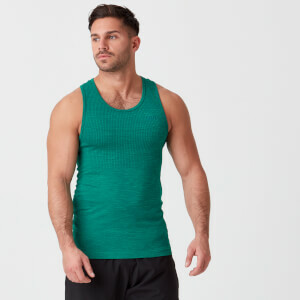 I've struggled to buy vests mainly as I am quite self conscious about my body. the tops are comfortable, durable & fit really well. I'm a rugby player @ 6ft(184cm), 96kg, 35in Waist - I wore a size L - perfect fit for me(think I got lucky). this feels better on the skin that other vests I've worn to the gym.